It’s estimated that half of all Americans take a health supplement every day, from fish oil to multivitamins to diet pills. The booming 30-billion-dollar-plus vitamins and supplements industry says these products can make consumers healthier — but a new FRONTLINE investigation with The New York Times and the Canadian Broadcasting Corporation raises troubling questions. Supplements and Safety, premiering Tuesday, Jan. 19 on PBS stations and online, investigates the hidden dangers of vitamins and supplements — exploring how they’re marketed and regulated, and how it’s often hard to know what’s really in the bottles you buy. “The FDA [Food and Drug Administration] does not do any review of dietary supplements before they come onto the market, and I think that all consumers need to understand this,” Stephen Ostroff, M.D., acting commissioner of the FDA, tells FRONTLINE. Supplements and Safety — from director Neil Docherty (Putin’s Way, Murdoch’s Scandal, On Our Watch, Al Qaeda’s New Front), correspondent Gillian Findlay (Putin’s Way) and Anahad O’Connor, reporter for The New York Times Well blog— explores the limited government regulation and oversight of supplement companies, and examines cases of contamination and serious health problems. “It is a complete unknown when you are buying a dietary supplement, unless you have some proof of what is in that product — it could be anything,” Sarah Erush, Pharm.D., of the Children’s Hospital of Philadelphia tells FRONTLINE. But federal prosecutors and regulators recently announced that they have taken action against over 100 companies, mainly for unsupported claims or for mislabeling their products. And, as Supplements and Safety explores, even if what you buy in those bottles is real, critics contend that many supplements simply don’t work, and could even be doing you harm. 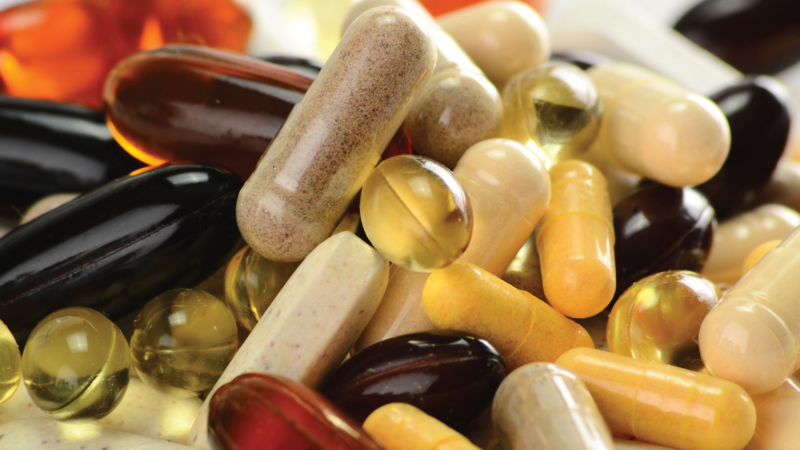 The supplements industry, which has a powerful lobbying presence on Capitol Hill, maintains that its products enhance consumers’ lives, and that further regulation is unnecessary: “Over half the country every day takes a supplement safely and effectively,” Fabricant tells FRONTLINE. But the science is still scant on either side of the debate; the FDA division that oversees supplements is small — only about 25 people; and companies only have to prove that their products are safe if they are adding a new ingredient that hasn’t been used before. With more than 85,000 supplements on the market each year, FRONTLINE’s Supplements and Safety is a must-watch for consumers looking to make informed choices about their health.